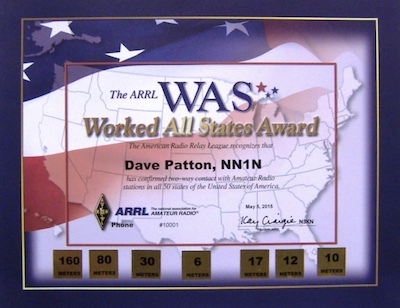 Click here for an up to date and comprehensive list of State QSO Parties courtesy of WA7BNM. A great way to track down and log missing states for your Worked All States (WAS) award. Below is the latest SCARS Contest Report from participating members. The contest report automatically refreshes every 60 seconds when a contest is in progress. Click on a participants call sign to view details of their recent contacts.